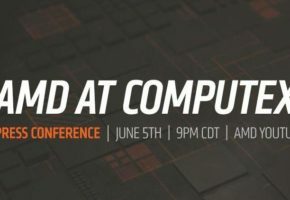 AMD has recently held a special event for retailers and distributors. A new roadmap has been shown there, revealing the codenames of upcoming Zen2 and Zen3 processors. It appears that 2nd Generation Ryzen Threadripper (Zen+) will be succeeded next year by Castle Peak architecture, based on Zen2. 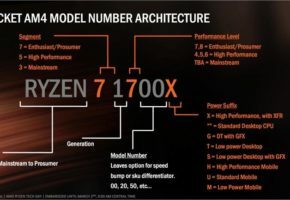 In 2020 AMD is set to unveil refined Zen2 architecture, which is currently known at Zen3 (not to be mistaken Zen2+). 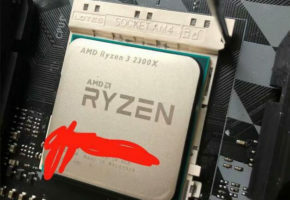 A cryptic codenamed of NG HEDT (Next-Gen High-End DeskTop) is currently listed for Threadripper 3rd Gen. 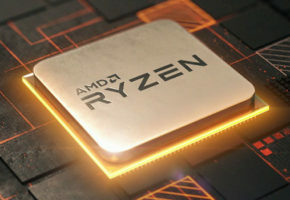 When it comes to ‘mainstream’ Ryzen, AMD is likely to adopt a new naming schema, with each generation named after a known painter. While Matisse and Picasso codenames were already leaked a few months ago, Vermeer and Renoir are new. 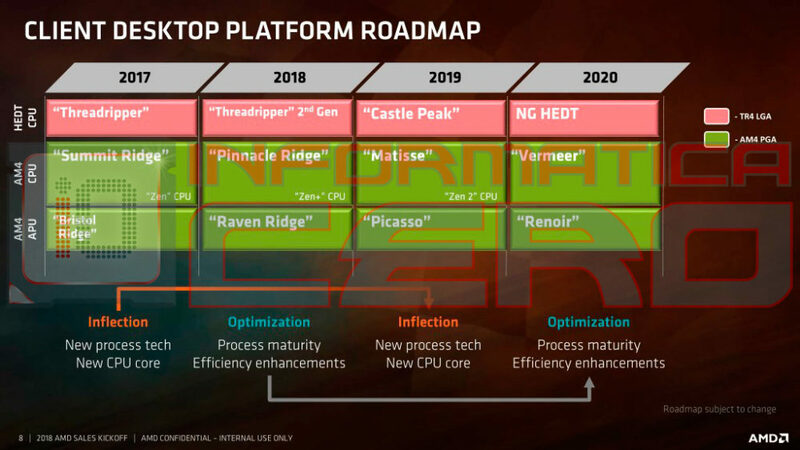 That said, Ryzen 2000, codenamed Pinnacle Ridge, will be succeeded by Matisse next year (based on Zen2) and replaced by Vermeer (based on Zen3) in 2020. 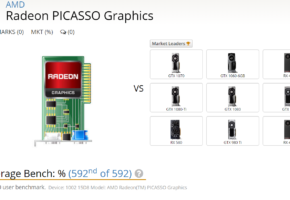 Raven Ridge APUs are to be succeeded by Picasso and Renoir, based on Zen2 and Zen3 respectively. A confirmation of the previous leak has also been provided. 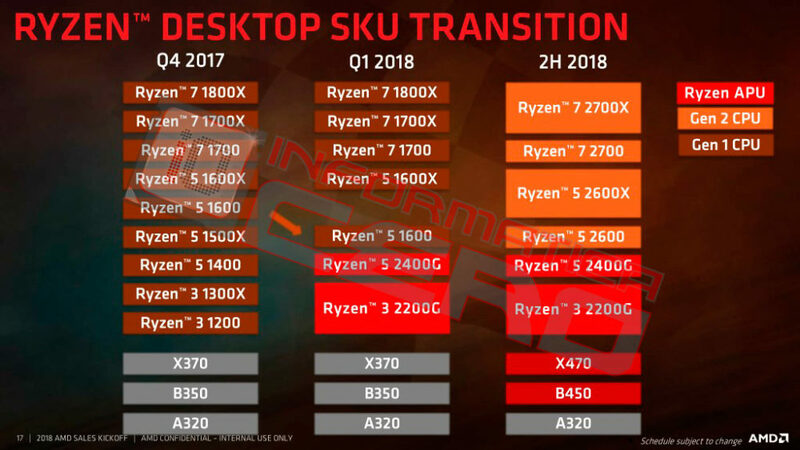 Pinnacle Ridge lineup is to feature only four SKUs, there is no Ryzen 7 2800X. 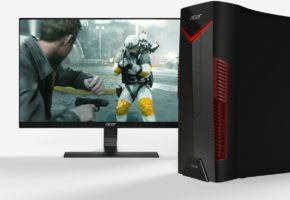 A simplified Ryzen 2000 desktop series lineup should provide a simpler choice for customers at launch. More SKUs will likely be unveiled at a later date.